Peritrich ciliates are highly diverse and can be important bacterial grazers in aquatic ecosystems. Morphological identifications of peritrich species and assemblages in the environment are time-consuming and expertise-demanding. In this study, two peritrich-specific PCR primers were newly designed to amplify a fragment including the internal transcribed spacer (ITS) region of ribosomal rDNA from environmental samples. The primers showed high specificity in silico, and in tests with peritrich isolates and environmental DNA. Application of these primers in clone library construction and sequencing yielded exclusively sequences of peritrichs for water and sediment samples. We also found the ITS1, ITS2, ITS, D1 region of 28S rDNA, and ITS+D1 region co-varied with, and generally more variable than, the V9 region of 18S rDNA in peritrichs. The newly designed specific primers thus provide additional tools to study the molecular diversity, community composition, and phylogeography of these ecologically important protists in different systems. 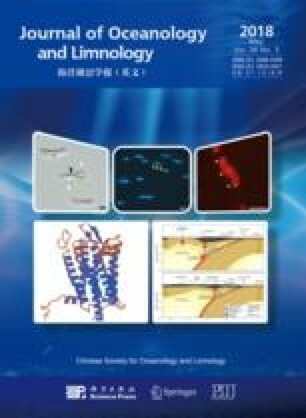 Supplementary material is available for this article at https://doi.org/10.1007/s00343-018-6326-3 and is accessible for authorized users. Supplementary material, approximately 212 KB.